Enter your email address to follow this blog and get new posts by email! Because breaking a sweat is good for the mind, body and spirit! This is how cave people lived. 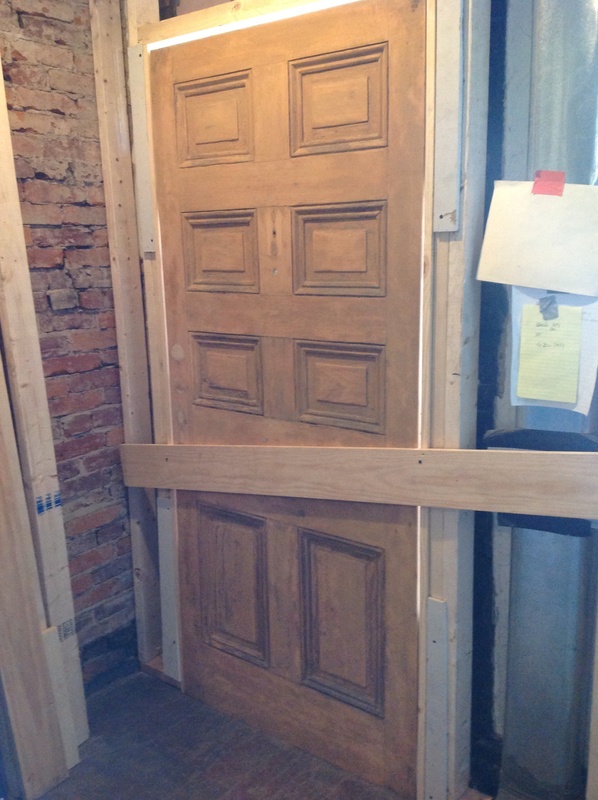 We couldn’t leave our house for several days because we didn’t have a front door. Seriously. One of us had to be at home at all times. 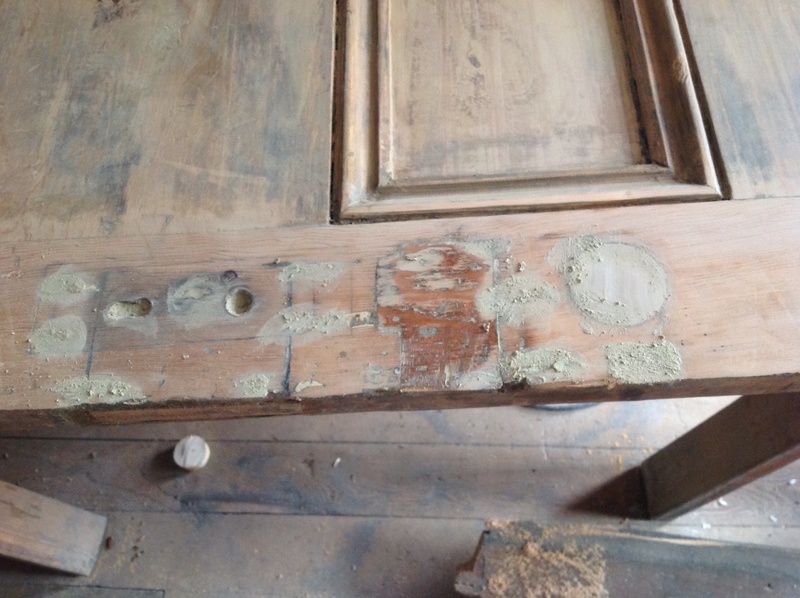 Our current front door and door frame were kind of rotted and not in the best shape. 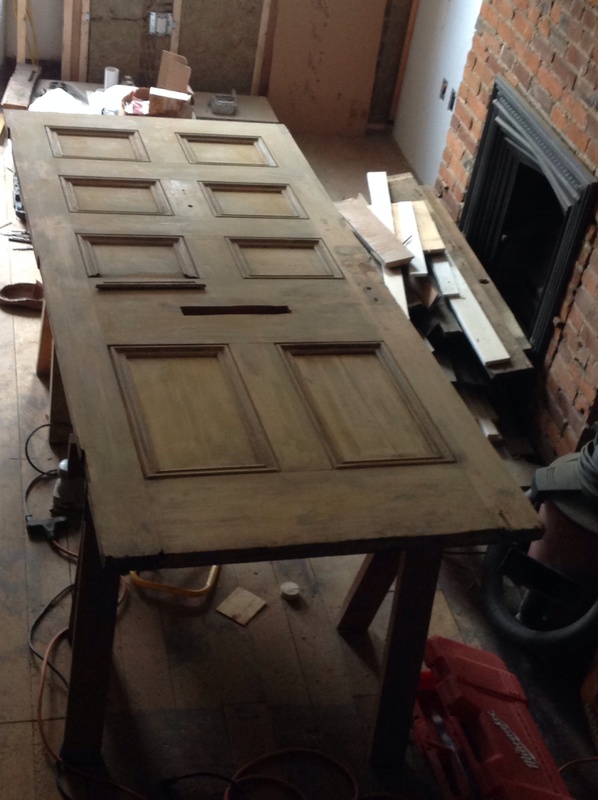 We took the door down and stripped it to its natural wood. 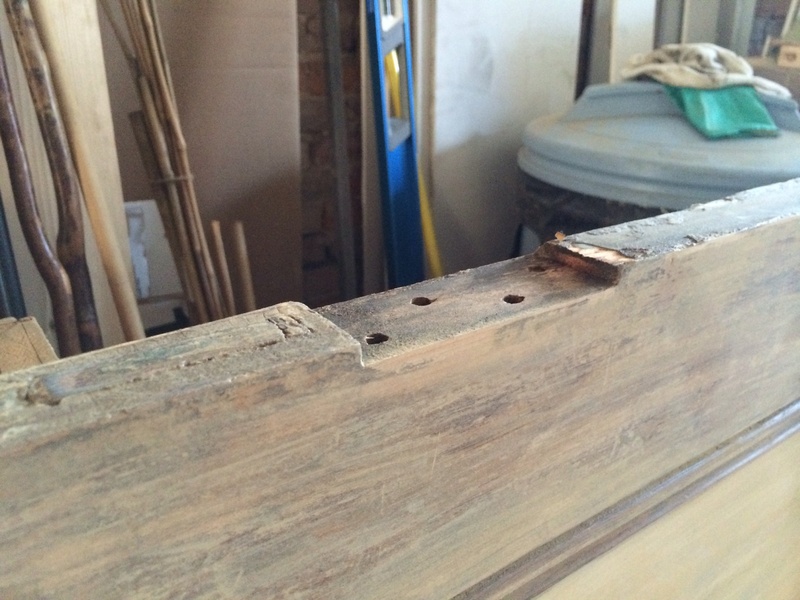 Then, we used a dowel to fill in the holes left behind by the original handle and lock. After that dried, we sawed off the ends. 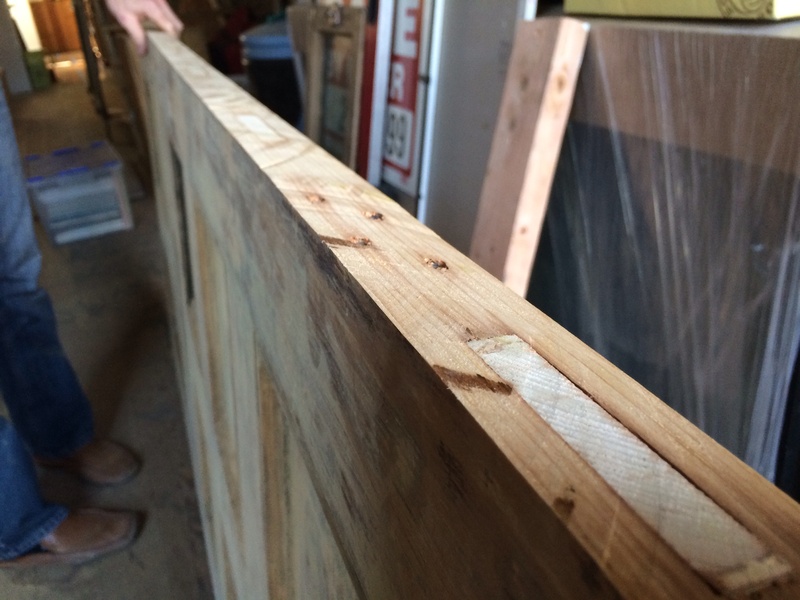 We then had to shave off the original hinges because we’re putting the new hinges on the other side. It took awhile but we got the nice, clean lines we wanted. 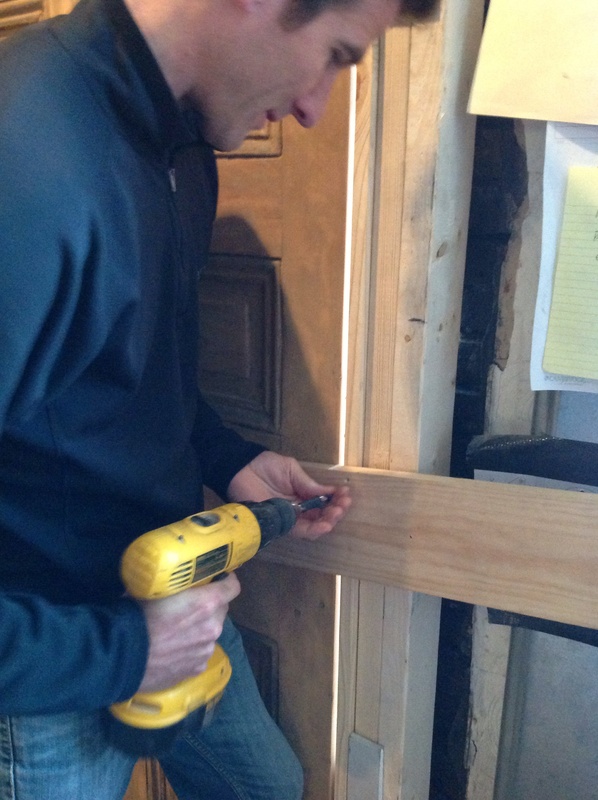 After all of that, it was finally time to build the door frame. 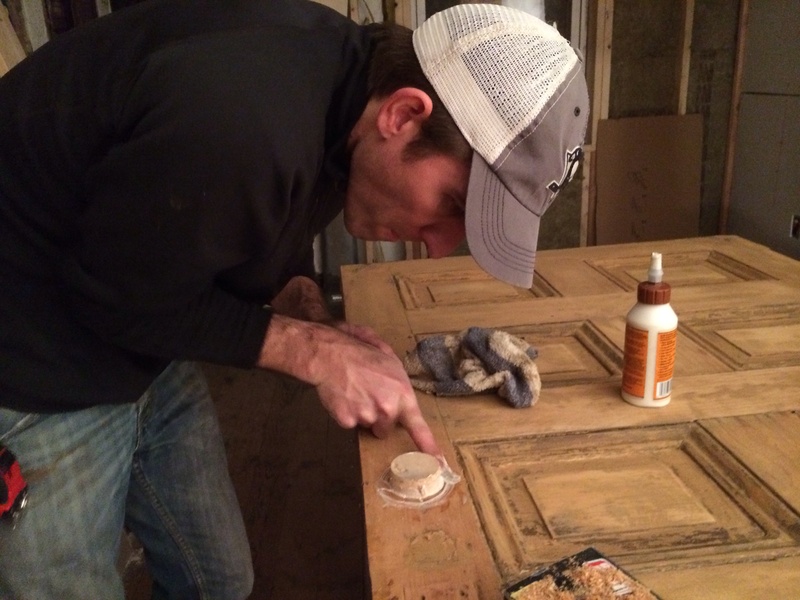 Unfortunately, we were so exhausted at this point, we just leaned the door up and screwed it in. I’m pretty sure this is how cave people locked their doors. **FOLLOW ILOVE2SWEAT! Just click the “+ Follow” button at the top of the page & put in your email address…some of you might see the FOLLOW button on the BOTTOM RIGHT CORNER of the site. ← I’m on TV…but not this kind of TV. “WE” is used a lot. But I only see one person working???????? ?